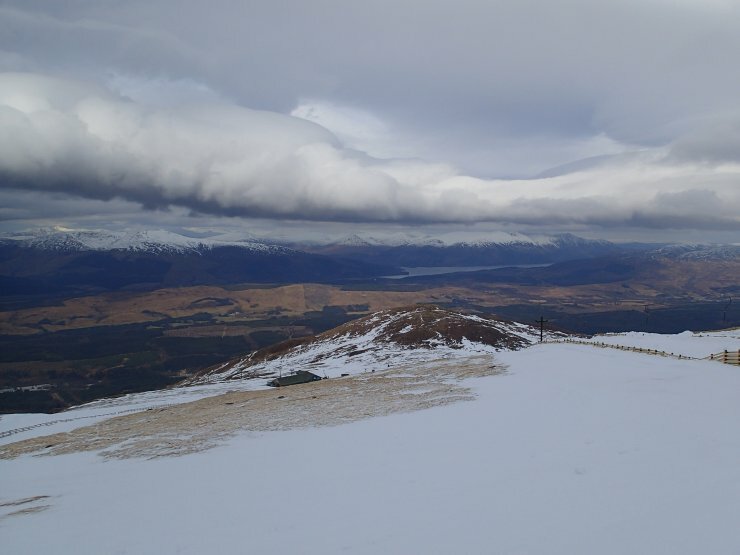 It was a very quiet day on Aonach Mor as the winds were much too strong for uplift. In fact I didn’t see anyone on the hill but with the wind gusting at least 50-60mph this was not surprising. Looking North from the empty NW slopes of Aonach Mor.